We knew there would be lot of people in the park the next day. Since we did not stay in the park, we got an early start and reached Bridalveil Falls before 8:30 am to beat the crowd. 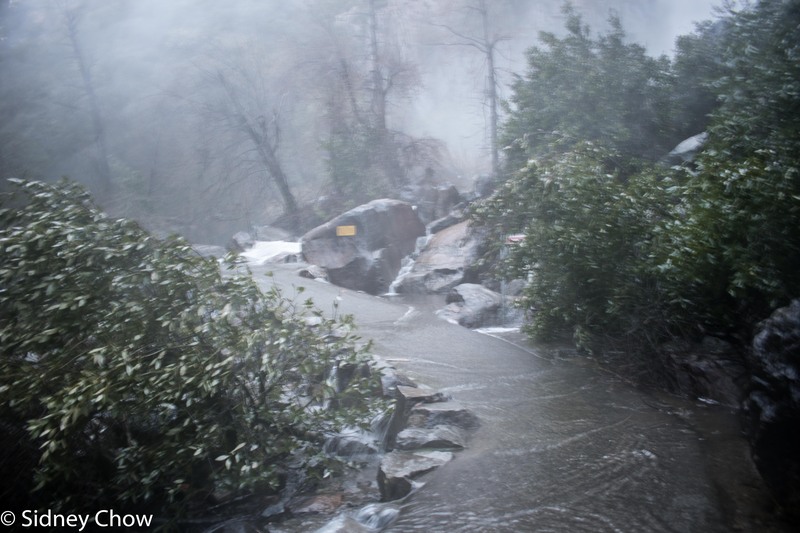 The short trail led us to the bottom of the falls with the cold mist blowing. The last part of the trail was flooded and impassable so we could not get to the end but I clearly felt the power of the water fall thundering down and splashed off of the rocks at the bottom. It was so much fun to see. 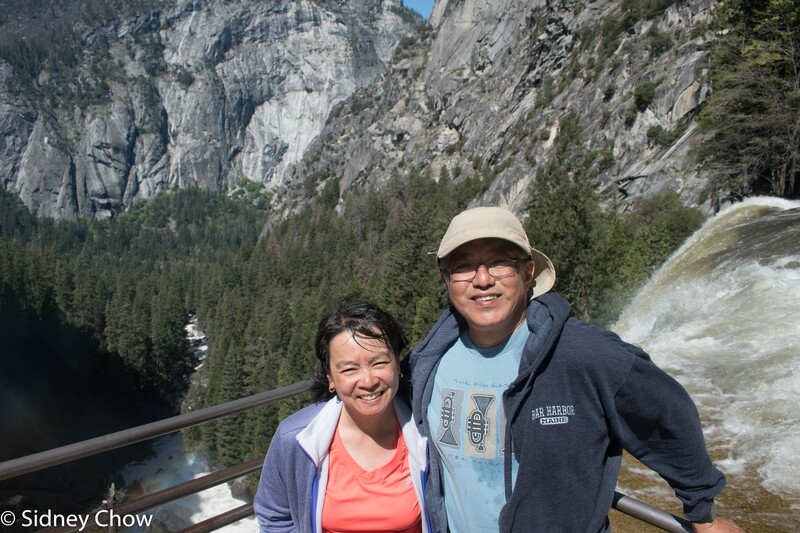 We then drove to Vernal Falls trail head parking area and hiked the Mist trail. The ascent to the footbridge gave us pretty scenery and a view of two falls on the way up. We saw mostly “national park” people at this early time, but the trail was crowded. People were friendly and in a festive mood viewing the water falls. Vernal Falls came into view and we could hear it from a distance away, roaring. The view of the fall from the footbridge was very pretty. The water flow was massive, angry and powerful and it chiseled away at the rocks to continue the process of carving a deeper valley. The ascent from the footbridge was significantly steeper. We followed a group of middle school kids up the steep trail. When they stopped to put on their rain ponchos, we knew we were ill prepared. The leader told them to stay single file to the right, and keep going until there was no mist. We didn’t have rain gear and certainly did not expect to be drenched, but heck, how bad can it be? Keeping my camera dry was more important than keeping myself dry at this point so I hid my camera under my hoodie as best as I could, put my hood up with my hat on top, and braved the mist. I walked as fast as I could, but had to stop often to catch my breath and to let people coming down to pass. After what seemed like an eternity, we finally got past the mist area as the trail curved away from the fall. Loretta was drenched. Her hair soaked and dripping with water. My hoodie was wet, my hat drenched, but my camera stayed dry. 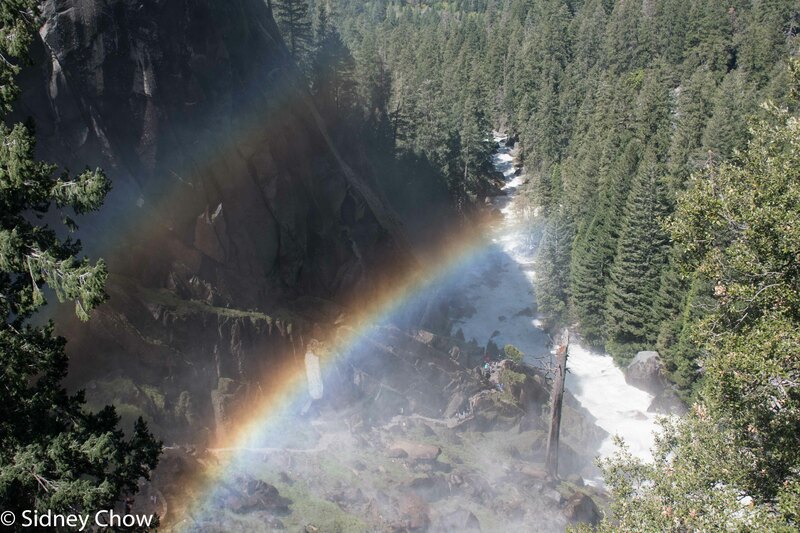 Once we reached the top of Vernal Fall, there was a nice flat rock formation with full sun. What a welcome sight! The view from the top was powerful. The current was swift but calm with little white caps as it bends around the protruding rocks. Suddenly, the water disappears over the edge. I tested the railing at the edge of the cliff to make sure it was sturdy and secure before I braced myself and leaned over the edge for a better view. There was a sign at the top that pointed to an alternate path down. We didn’t want to risk the steep descend and brave the mist again so we chose the alternate (John Muir Trail). Without a map, we assumed it wouldn’t be that different than the trail we came up on. It turned out to be much longer. The trail climbed from the top of Vernon Falls to a rim before it descended down switchbacks to the footbridge. I’m glad we chose the alternate path even with the additional elevation gain and the longer path because there were fewer people and we got an excellent view of Nevada Falls. By this noon hour, the trail from the footbridge was full of people, including people with dresses and flip-flops. The “theme park” people have arrived. 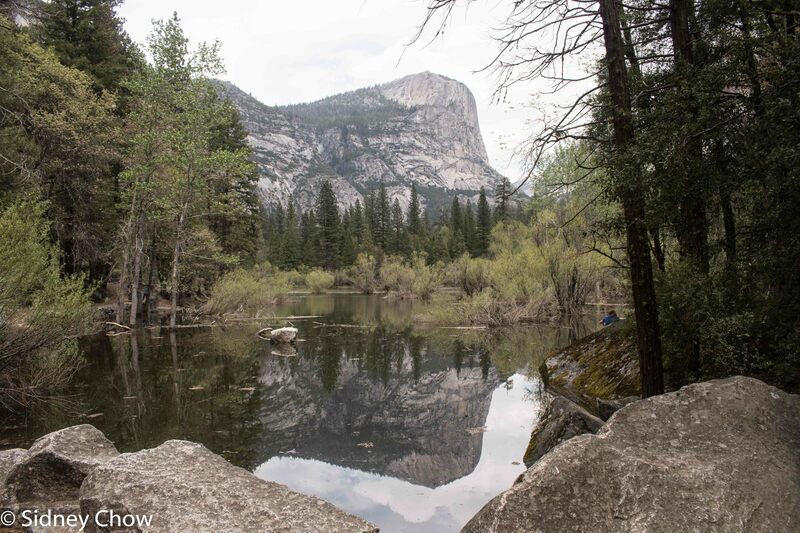 The volunteer ranger told us Mirror Lake trail was a flat, easy trail to a lake that has excellent reflections of Half Dome. After our Mist trail hike, we went for the “easy” Mirror Lake trail. Well, it would be easy if we got on the right trail. We decided to defer our bathroom break at the end of the Mist trail hike since there were two bathrooms clearly marked on the map for Mirror Lake trail. One was about half way to the lake, and another one at the lake. We confidently went down the dirt trail on the right side of the river, and totally ignored the people going along the paved road on the left side of the river because a hike should be on dirt trail, not on a road. The dirt trail started to climb and we had to go over some boulders and steps. I said to myself “This is not an easy flat trail.” Worse yet, the bathroom was on the other side of the river, unreachable across the river. We continued on and reached a sign that said Mirror Lake, but no bathroom. Surely, I thought, the paths would loop around the other side of the lake! The urgency grew as we had a decision to make – continue or turn around. We continued down the path, hoping there would be a path or a bridge to the other side, where the bathroom was. We eventually realized the paths were not going to cross, and had to hurry back to the trail head, cross to the pave road, and walk half way to Mirror Lake before relief came. That was the fastest I’ve walked on a trail, ever! Once we restored the sense of calm and balance, we decided to continue and check out the “other side” of Mirror Lake. The volunteer ranger was right. The path was relatively flat and paved. It was easy just as she described. We found a nice spot by the lake and had our standard Subway sandwich. I wanted to take a picture of the reflection of Half Dome on the placid lake, but I had to wait. The lake was very small but when calm, the reflection was beautiful but there was a young lady in a dress (who wears a dress to go hiking?) waiting for a friend. 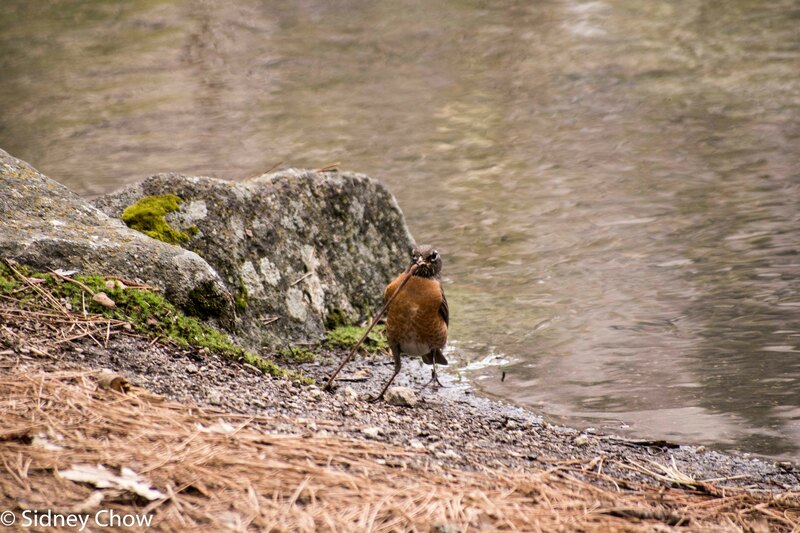 To pass the time, she threw small pebbles into the lake and created ripples that totally ruined the reflection! How inconsiderate. Finally, her friend came and they went off and I was able to take my photos. Hetch Hetchy in the northwest part of the park is known as the “other” Yosemite Valley. The drive was long (one and half hours) and winding. The crowd disappeared as we drove on to Big Flat Road. Technically, we left the park at the Big Oak Flat entrance before we came back in at the Hetch Hetchy entrance. The friendly ranger gave us a numbered parking pass as we entered with the number 91 on it. We were only the 91st car to enter for the day and it was already 4:30 pm. This was certainly the road less traveled. The end of the road was bittersweet. There was a dam with a beautiful lake behind it. Distant water falls cascaded from the top of granite cliffs. The valley looked like a flooded Yosemite Valley! 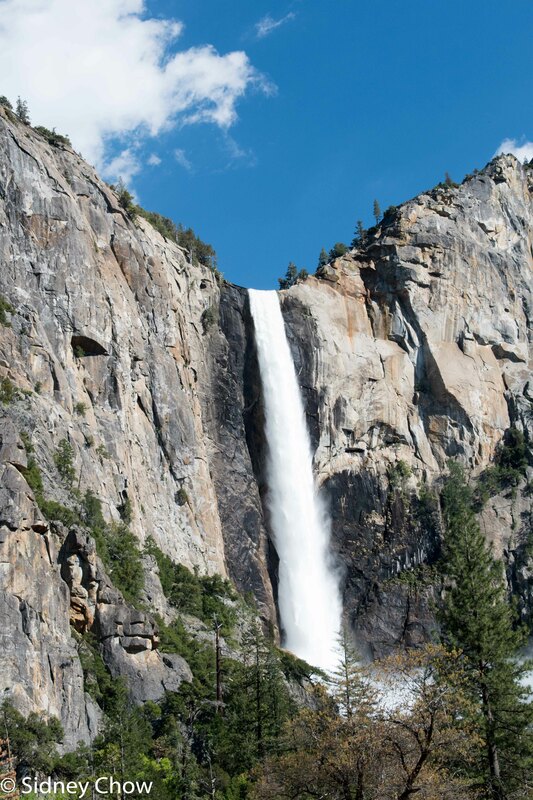 The 1200 feet Wamapa Fall looked like Yosemite Fall. 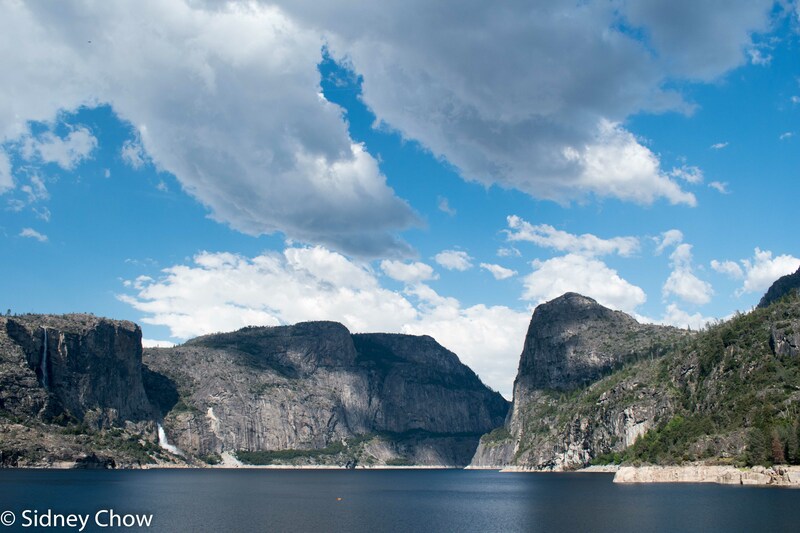 The Hetch Hetchy Valley looked like Yosemite Valley, with its glacier carved U shaped valley, before the dam was built. John Muir fought hard against the dam, but President Woodrow Wilson signed the Raker Act in 1913 to allow the dam. The water needs of San Francisco outweighed the conservation needs. This was the only time a national park was appropriated for the benefit of a single city. Research and plan ahead to achieve optimal results, just like planning to visit Yosemite at the right time of the year for optimal view and avoid crowds. 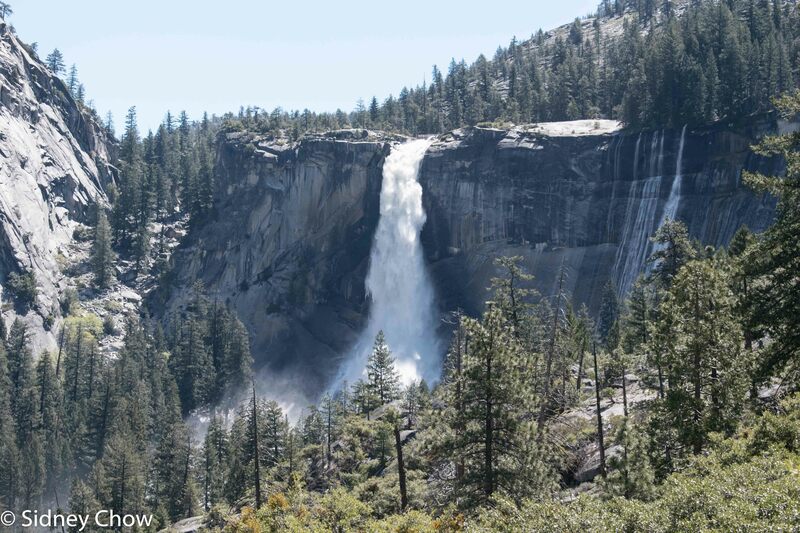 Yosemite National Park concentrates so much beauty in one place, no wonder it is so popular. The water falls, granite domes, spectacular views from above and below, the meadows, the large trees, the lake behind the dam, and hikes for every ability offer variety and something for everyone. 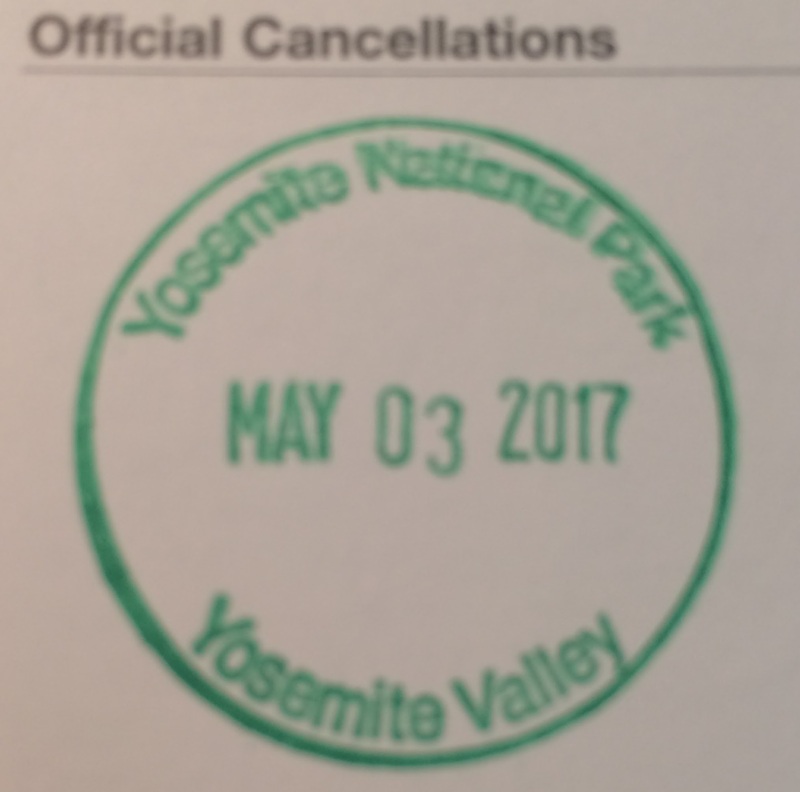 Yosemite would be one of my favorites, except for the crowd. Part of the national park experience is to commune with nature and that requires some semblance of quiet and solitude. You can’t find that kind of solitude in Yosemite Valley when the park is not snow covered. In most national parks, once you get away from the parking area and onto a hiking trail, the crowd dissipates and solitude returns. Not at Yosemite. 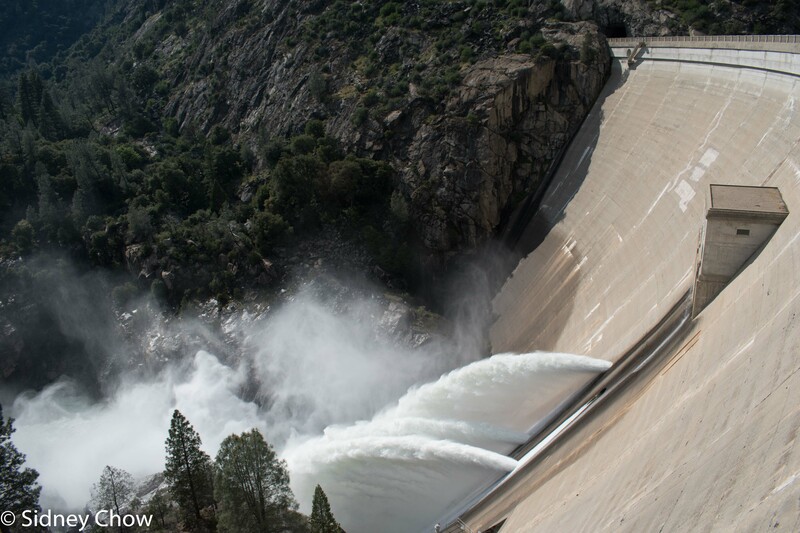 You would have to go to the northern parts of the park, like Hetch Hetchy, to avoid the crowds. 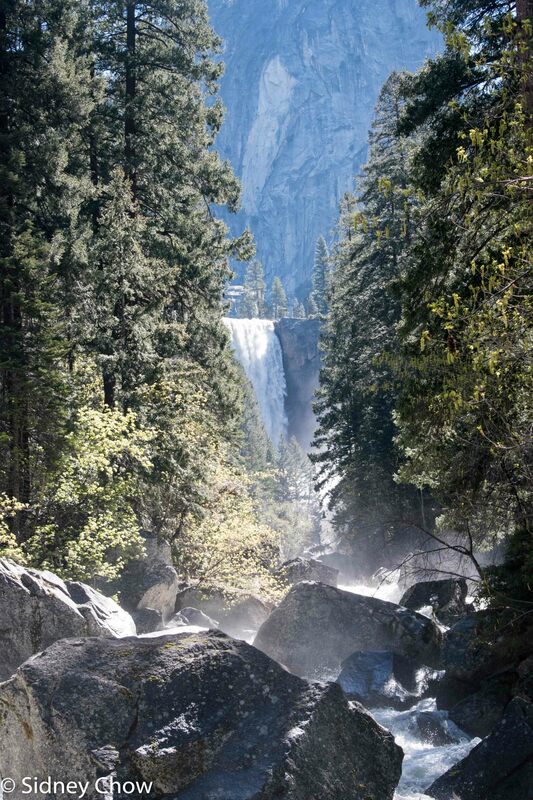 Yosemite is truly beautiful, especially in the spring. Careful planning can mitigate some of the crowd problem. Despite the crowd, the beauty makes this a must visit park. 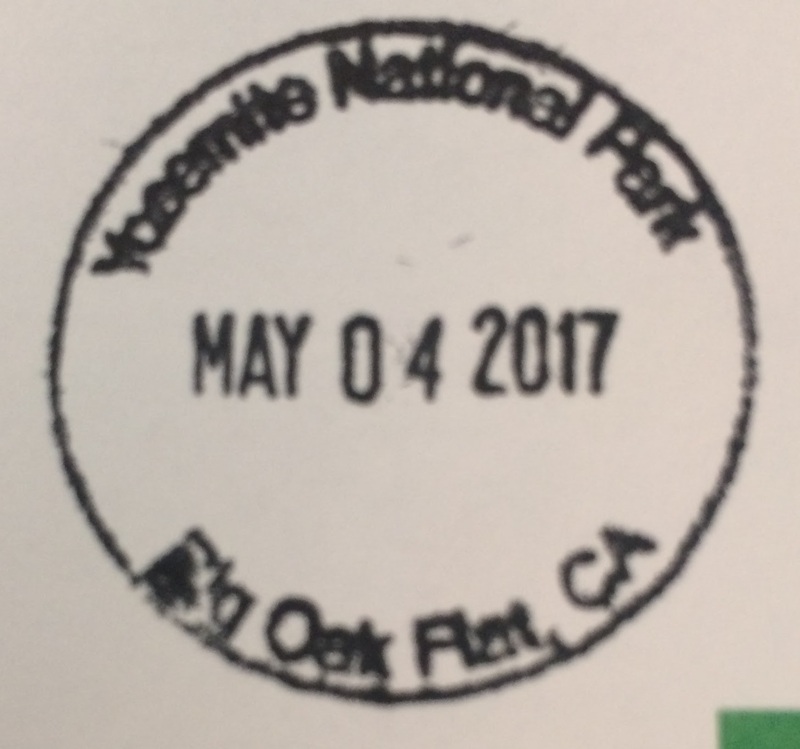 Have you visited Yosemite? Leave a comment below on your experience. Click on the Follow link and get an email when new postings are available. I will not share your email so no worries. Plan ahead. Stay in the park if you can because it takes a long time to reach nearby towns which are more than an hour away. Best time to visit is spring, after the snow clears but before the summer vacation season. The water falls are the most spectacular. Get there early in the day because the best time for touring by car is before 10 am. Time it so you are on a hiking trail by 10 am. Shuttle system is required during peak season. It can take a lot of time to get around. Plan accordingly. Plenty of services are available at Yosemite Valley. 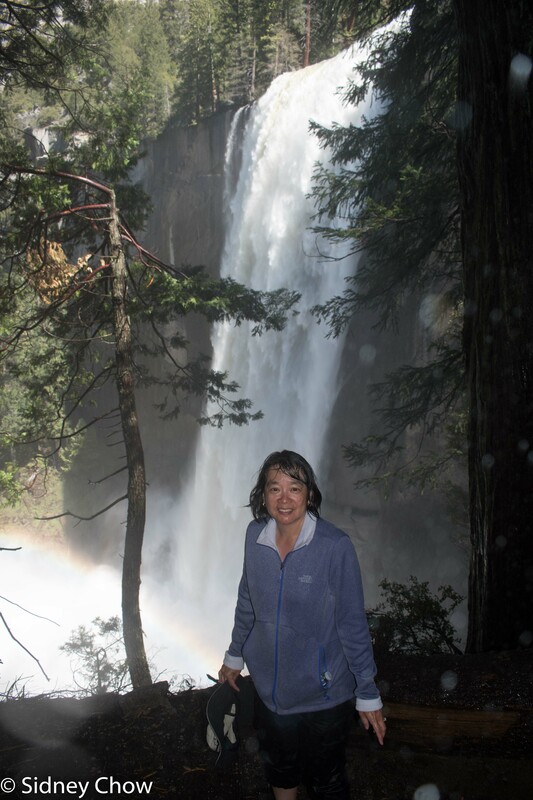 Visit Hetch Hetchy area and Tioga Road for areas not mobbed by the crowds, if road conditions allow. Bring your patience with you because you will need it. Size: 761,266 acres, ranked 16th. Visitors: 5,028,868 in 2016, ranked 3rd. 2016 was a record year. Nearly one million more people visited in 2016 compared to 2015. Peak Month in 2016: 780,728 visitors in July. Low Month in 2016: 139,780 visitors in January.